Get the best used car finance Tyne and Wear has to offer by using UK Car Finance today. You can benefit from local car finance experts that give you the option to see your chance of being approved before you actually apply, protecting your credit score from any unnecessary harm! We take care of you throughout your whole car buying experience. We’re here to give you the helping hand to get the car finance you need. 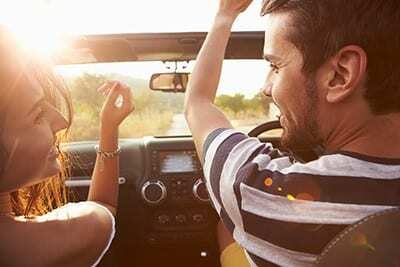 When you choose to apply for car finance with UK Car Finance you can buy a car at any reputable FCA approved car dealer in Tyne and Wear or elsewhere within the country. Unlike obtaining car finance from a car dealer you won’t be limited to the cars on their forecourt. You want to have the choice of buying the car you really want! Nobody quite gets Tyne and Wear car finance like we do! We are based here after all. Our team is filled with car finance experts from across the north-east region who can help find you the best deal and guide you to make the right decision for you. How do I get car finance Tyne and Wear? We’re local, based right here in Tyne and Wear. Experts in Tyne and Wear car finance. We’re unbiased, here to help you not sell to you! Find out the chances of being approved before you apply. Help you take back control of your car finance. Rated the best car finance provider in Tyne and Wear! Take back control of your car finance and use Tyne and Wear’s favourite car finance broker! We will see you right! Not looking for Car Finance Tyne and Wear? Maybe you were looking for car finance in Durham or Northumberland car finance instead? You may have seen the ads on Facebook by car dealers across the region guaranteeing ANYONE a car finance deal. They can’t. There are usually a lot of strings attached that they are not being upfront about with you. We believe you deserve to know your chances of being approved before you even apply. That is why we have created a car finance calculator where you can request a soft search on your credit report which allows us to tell you your chances of being approved using data of customers who applied with similar credit reports. Find out your chances of being approved for car finance. As a car finance broker, it’s our duty to ensure responsible lending happens, we want you to get Tyne and Wear car finance that fits into your budget, not that keeps you awake at night wondering how you are going to get your next payment together. It’s actually illegal to advertise guaranteed car finance, it directly breaks the Financial Conduct Authority’s rule of conduct. If a company are offering you such a thing, just walk away, they don’t deserve another second of your time. Will I be approved for your Tyne and Wear car loans? What are your chances of being approved for car finance in Tyne and Wear? 98.4% of those who used UK Car Finance received one or more offers from our panel of car finance lenders. That is more than any other car finance provider in Tyne and Wear. We can provide such a huge approval rating due to our specially selected panel of lenders. We put more effort in and work harder than any of the Tyne and Wear car dealers and car finance providers to ensure you get the very best approval. We don’t have cars sitting on our forecourt so we aren’t interested in getting you just any deal so we can sell you a car. We focus solely on the car finance. We promise to match you up with the best lender for you, no annoying pushy salesman in sight! Unlike a lot of brokers our service doesn’t stop when your car loan pays out. We know the finance is a means to getting the car. As we have developed strong relationships with car dealers and garages across Tyne and Wear, we can help seek out the car you’ve been looking for. As we are based in Tyne and Wear we know the car dealers to be trusted and which ones to avoid. Our local knowledge is second to none and we will ensure you are well looked after when you come to buying your car. Protect your credit score by checking your chances of being approved before you even apply using our car finance calculator below.